One of the most frequently asked questions on the blog is how to plan a music lesson. Over the years I’ve developed a programme that’s easy for teachers to follow and that never fails to engage the kids. 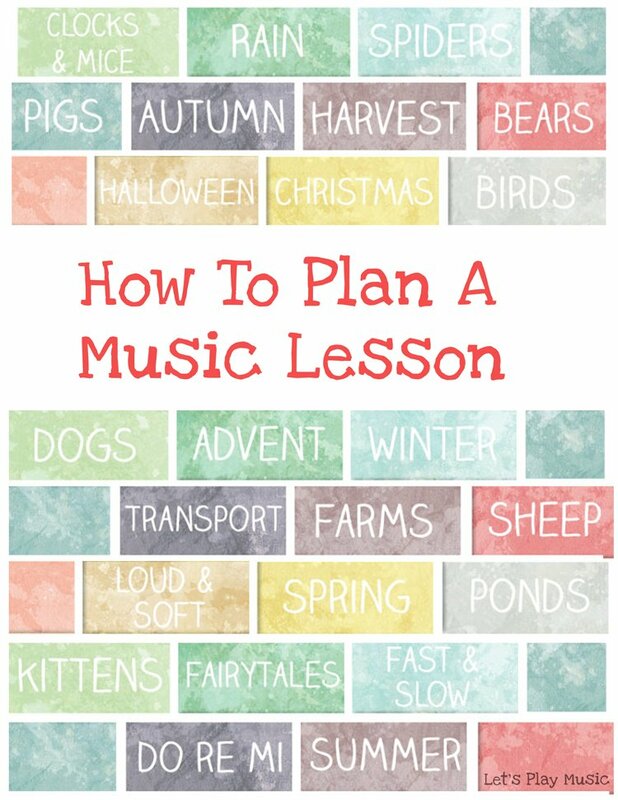 So I thought it would be useful to share some tips on how to plan a music lesson, and particularly how you can use my lesson plans to help. 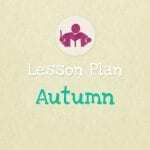 This term we’re be offering a special discount, seasonal bundle of lesson plans for the Autumn/Fall term, 12 weeks of music lessons for the price of 10 in suggested weekly order to help save time and keep things simple. There is a wealth of knowledge on the internet these days! When I first started teaching, I had to build up a library of resources by going to various different music stores to find kid-friendly classical tracks. From blogs, to YouTube to online music lesson plans, there is so much available online to get you started now. If you are a preschool teacher and haven’t done music with your class before, sometimes the idea of a ‘proper music lesson’ can be a bit daunting. It was with this in mind that I created my lesson plans. They guide the teacher through a structured weekly programme, explaining and building up musical skills while also being a weekly highlight in the classroom. Each plan is at least 30 minutes long. They can take longer depending on the number of children you have in the group and how many times you need to repeat things. I rotate my themes so that the subject changes each week. There are some regular activities that we always do on a weekly basis. Young children love the familiarity of repetition and luckily it’s also good practice. It’s the best way to build basic musical understanding. The key is to get the right balance between familiar activities and interesting new ones to keep the kids engaged. Switch longer activities up with shorter ones to keep the kids interested. I have always found that it is best to choose a single theme per week, and adapt the activities for the different age groups. There are always some activities you can do with every class. My Let’s Play Music lesson plans are ideal for preschool or kindergarten kids and elementary Grade 1 or Reception class children. They are suitable for toddlers through to 6 or 7 year olds and they can be easily adapted to suit the different age groups. The theme stays the same, but they have different activities in them that cater for slightly older or younger children. It’s important to be flexible in a music lesson as things don’t always go according to plan. Sometimes the kids need calming down, or they might get restless. So it’s a good idea to have a couple of stand-by favourites up your sleeve in case you need to make a last minute change to the lesson. Ring Games and Circle Time songs are excellent for this. You can just slot them in if you have a few spare minutes to fill. Choose a quieter activity if your class need to settle or something lively if they need to let off steam! Every group is different, and you’ll find that yours will soon have their own favourites. But don’t worry, they’ll definitely let you know which ones they are! All of my lesson plans begin with a “Hello Song”, which I also suggest as a “Goodbye Song” to end. This works particularly well in a music class where the children just come together for a weekly session. It’s a great way to get started and bring the class to a close and helps little ones to understand the routine. But if the music lesson is just part of the normal school day, you may prefer to leave this activity out. Listening to rhythms and repeating them. Learning the note names and understanding their values. Pitching and singing notes and intervals and many more things besides. These ideas are introduced and practiced week by week and as the children become more familiar with them, their skills and confidence grows. Try and get hold of some percussion instruments – you can get good ones now days on Amazon, so they are easy to get hold of. If you can play either the piano or the guitar, simple sheet music for nursery rhymes is easy to get hold of and is included with all of my music lesson plans. If that’s not possible, kids are always perfectly happy to sing along together with maracas and tambourines. 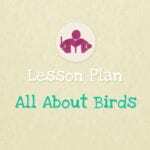 You can find out more information about my series of Lesson Plans here. They have been written with teachers in mind, but they can be used at home too. What’s inside the lesson plans? The plans include a step by step outline of each lesson with full teaching support and tips. All the printable resources needed and a full list of any recommended materials or suggested music links. What order should I do your lesson plans in? The order you choose to do the classes in doesn’t really matter, unless you are doing one of the seasonal ones where of course it makes sense to time these right. At the beginning of the year I usually start with the ‘Clocks and Mice’ theme. This is because it’s a great one to hook the children in with a clear, rhythmic message that’s easy to grasp. The Rain theme is also a good one for the same reason. Different classes offer different things of course, sometimes it might be a seasonal theme. Or you can concentrate on teaching a new concept like different tempos with the ‘Buses & Trains’ theme or high and low and soft and loud with The Three Bears. So this term we’ll be offering a special discount, seasonal bundle of lesson plans for the Autumn/Fall term, 12 weeks of music lessons for the price of 10 in suggested weekly order to help save time and keep things simple. Check out our full set of Lesson and Activity Plans over in our store.